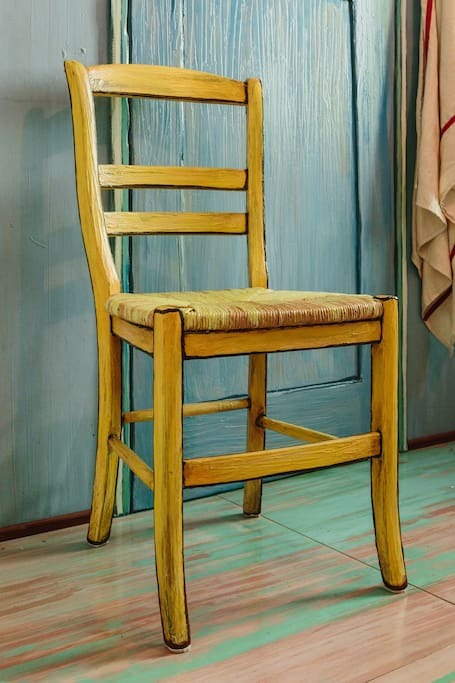 On 1889, Vincent Van Gogh rented part of a yellow building on Place LaMartine in Arles, France. He used it as a studio at first, but a few months later he began living there too. 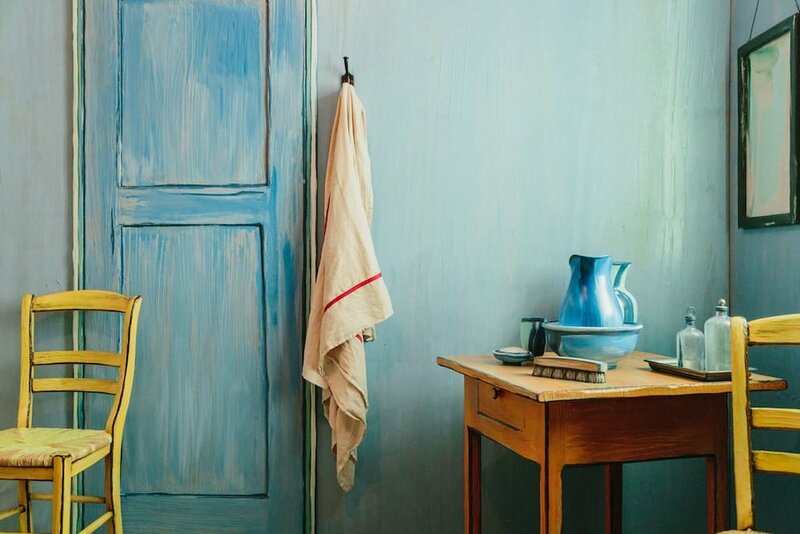 He called the building the Yellow House and planned to lavishly decorate its interior with paintings. 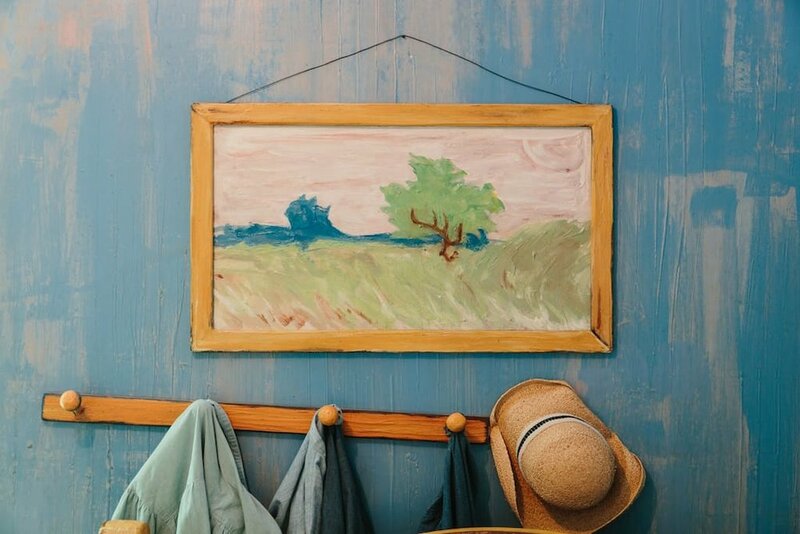 He created a number of works for the purpose of decorating the house; they included four sunflower paintings, The Public Garden with a couple strolling, The Tarascon Stagecoach, The Night Café, The Yellow House (“The Street”), Starry Night over the Rhône and The Trinquetaille bridge. 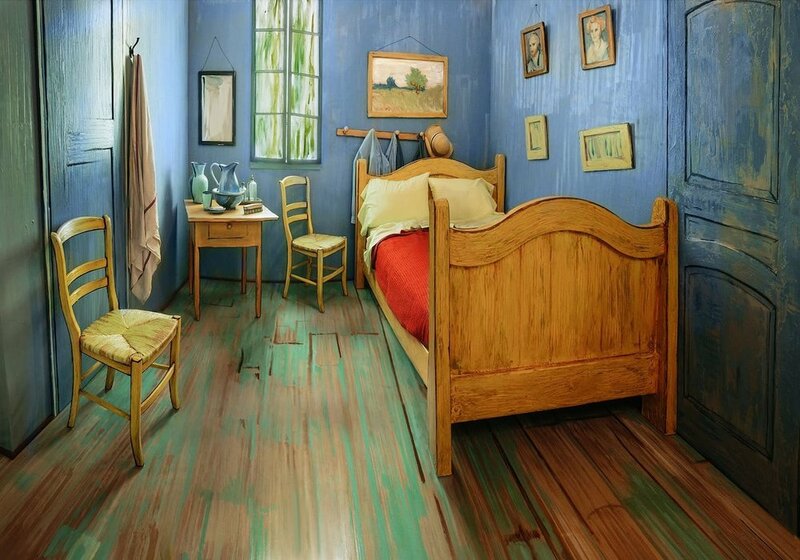 Thanks to Air Bnb and the Art Insitute of Chicago, you can actually sleep at the exact replica of Van Gogh's room. 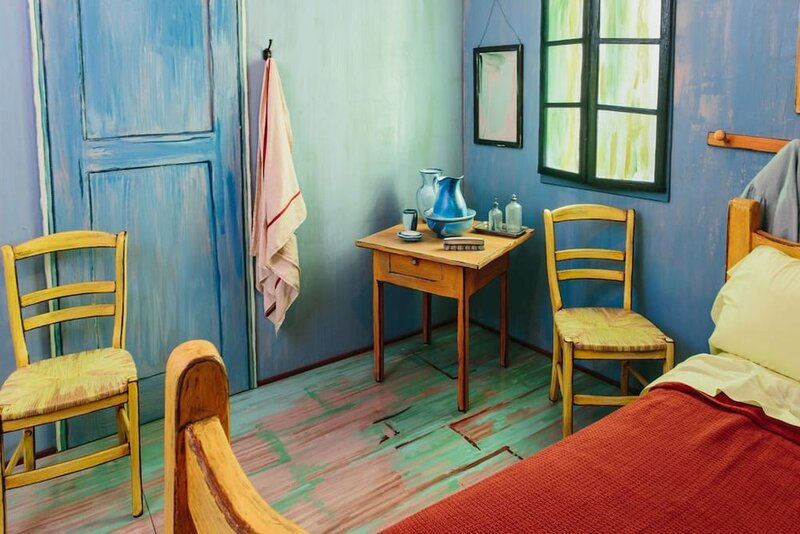 The only difference, is that the room is located in Chicago, Illinois instead of France, but it's ok, skip the baguettes and café au lait and hurry up to book the room, which is available for a limited time, from Feb 14 to May 20, and for only $10 a night, check in at the Airbnb listing .